In the last two decades, CEO brands have become the most significant components of the company’s corporate reputation and brand. However, the field of CEO branding has not been studied sufficiently, and academic knowledge regarding CEO brand equity, the aspired outcome of the CEO branding process, is still lacking. The present study aims to fill that gap. This study offers a conceptual model describing the notion of CEO brand equity, its components, and the dynamics of interaction between them. It is based on theoretical and empirical CEO branding studies as well as theoretical models of the concept, “brand equity,” from the product brands field. The proposed Funnel Model describes the CEO brand’s characteristics and action parameters that influence stakeholder’s perceptions and behavior leading to the creation of added perceived value (reputational and financial) that reflects the actual essence of CEO brand equity. This study expands the knowledge of the under-researched subject of CEO brand equity. 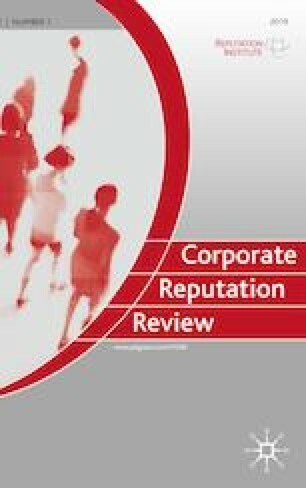 The model also offers a road map to practical implementation, i.e., measuring CEO brand equity strength, which enables a company to evaluate the contribution of the CEO brand to the company’s corporate reputation and thus to its performance and to improve CEO brand management, as it becomes one of the most important marketing communication tools. The author extends his special thanks to Prof. Sam Lehman–Wilzig whose insightful comments have enriched this study significantly.